Business is increasingly conducted abroad due to technical advancements and market globalization. It’s no doubt challenging to grow and manage a team of professionals adept at working in a multicultural environment. 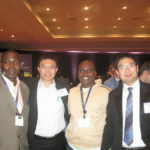 Choosing to focus on these challenges, the 2012 ASCE Annual Conference planners recruited many speakers to focus on civil engineering in the new global economy. The Committee on Younger Members presented one of the most interesting sessions titled, “Competence Redefined in a Global Workplace.” Speakers Andres Torres (Valmont Industries), Eli Gottlieb (Thornton Tomasetti) and Arthur Alzamora (Langan Environmental and Geotechnical Engineering), and Vinicio Avendano (Boeing) spoke from their personal experiences on international projects and highlighted several challenges. Language – communication is central to any effective collaboration. The diversity of human language and expression complicates such communication. History is rife with famously unfortunate translations and misinterpretations. Andres, whose business is in industrial poles: light poles, electric transmission poles, cell tower poles, etc., described some confusion he encountered in Malaysia where a “steel column” refers to nothing more/or less than a “light pole.” Learning the local language may also mean getting to know the local colloquialisms. Greetings – television has often parodied curious greeting customs, but first impressions do make a difference, and acknowledging the local culture goes a long way. In India for example, when exchanging your business card, one would present their card to the other person with two hands. Meeting Procedures – your first experience with international partners and clients will most likely be in a meeting setting. Expect a very different experience from your local corporate procedures. In some cultures expediency is prized; in others, meetings carry on and on until all possible issues have had extensive debate. Likewise, the concept of “on time” is not consistently literal. Andres explained that two hours late can sometimes be considered “on time” in South American countries. Gifting – this is a particularly foreign and uncomfortable experience for most American businessmen. While corruption is to be avoided to maintain ethical standards, small gifts may be expected as an expression of appreciation or a symbol of cultural exchange. Project Delivery – American consultants often provide services to countries that don’t have an established building industry. 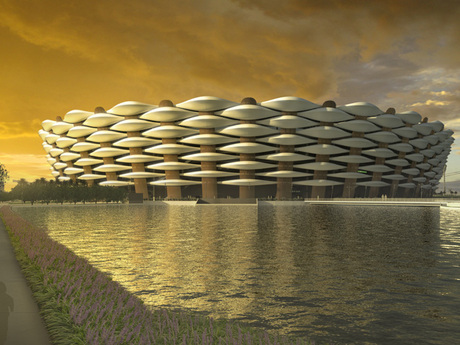 Eli described his team’s efforts to educate local contractors and provide additional information on the contract documents for construction of two stadiums in Iraq. This meant providing expanded service beyond what’s typically needed domestically. In Eli’s example, the first smaller project served as the learning curve for the much more complicated second structure. The international setting of the conference helped drive home the panel’s discussion points. Though there are many reasons to go global, specific technical and non-technical challenges must be overcome, such as the difficulty of managing multicultural teams and maintaining good communications. Where are the old white men?